Police watch over demonstrators marching to McCormick Center protesting the NATO Summit on Sunday. Sworn members of the Chicago Police Department will be offered two complimentary tickets to one of 10 select White Sox games. The team said it was Mayor Rahm Emanuel's idea. "Mayor Emanuel asked the White Sox organization to join the city of Chicago in honoring the men and women of the Chicago Police Department who represent the most dedicated and finest of our great city, and we are proud to recognize their service," said White Sox chairman Jerry Reinsdorf in a statement. "The White Sox thank these true Chicago heroes who served our city during the NATO Summit," he said. Police Supt. 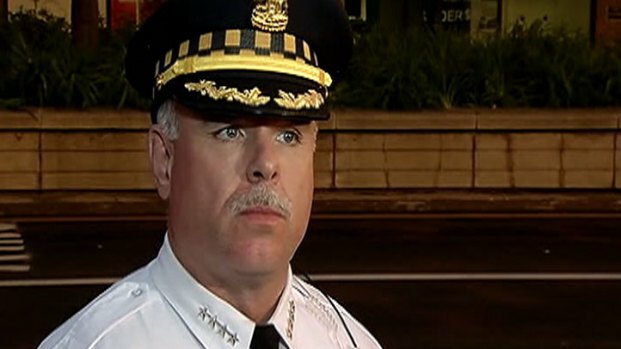 Garry McCarthy becomes emotional when talking about how his officers dealt with a big clash with protesters near Michigan and Cermak earlier in the day. Police made their presence known when hundreds of protestors took to the streets as world leaders convened at McCormick Place. 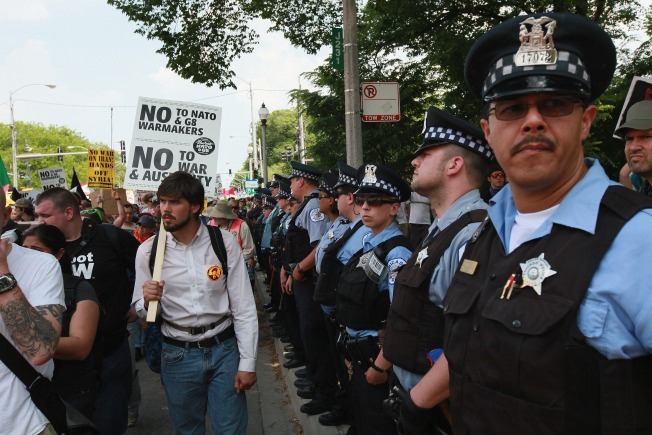 Chicago officers, some riot ready, were seen lined up in preparation for protestors, marches, ceremonies and rallies. Nearly 100 people were apprehended during weekend protests, many of them released without charges Monday morning. McCarthy commended not only police officers, but also a majority of protestors who kept the peace. "The news isn't what's happened," McCarthy said. "The news is what has not happened. This is really a non-event. This is what's supposed to happen in America." Chicago's mayor says the 2012 NATO Summit boosted the city's profile in the world and expresses gratitude to citizens and first responders for how they handled a stressful weekend. Emanuel also honored the Chicago Police in his first public comments since the summit began. 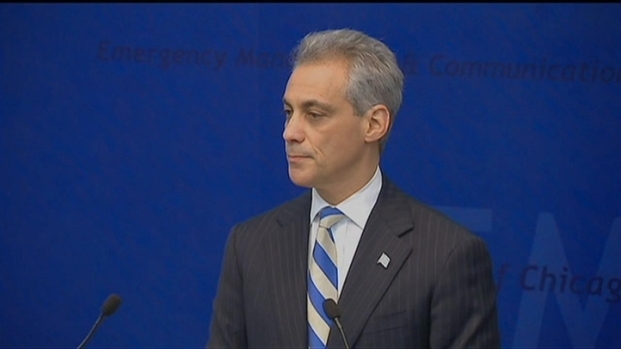 "I want to take a special moment to thank all of our men and women in uniform," Emanuel said. "They did a great job under stressful circumstances. ... At the end of Randolph street, I shook hands with 400-500 of them and thanked them personally." Chicago Police will have a special in-game tribute hosted by the White Sox on Wednesday, May 23.